and electronic watchmaking for the best of both worlds. The two key elements behind the function of any watch are its power source and its time control system. 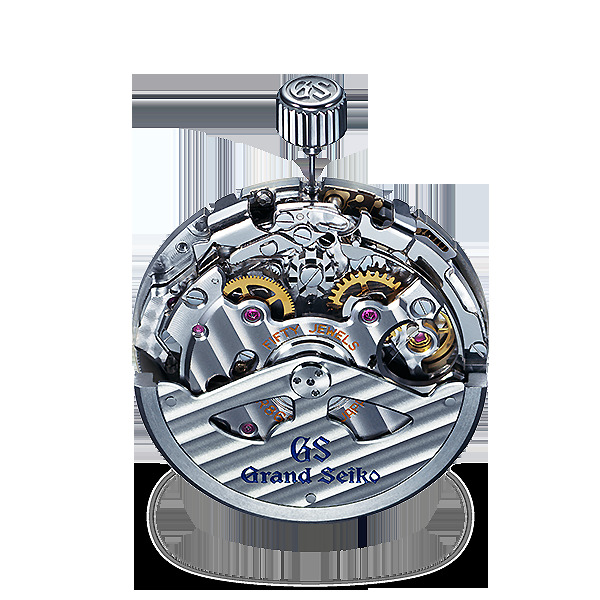 Spring Drive is a unique movement that combines the high torque of a mechanical watch with the high precision integrated circuit (IC) control system of an electronic watch. The wound-up mainspring exerts force to turn gears at a set speed as it unwinds, while the speed control and escapement mechanism consisting of the balance, pallet, and escape wheel govern overall precision. While precise. 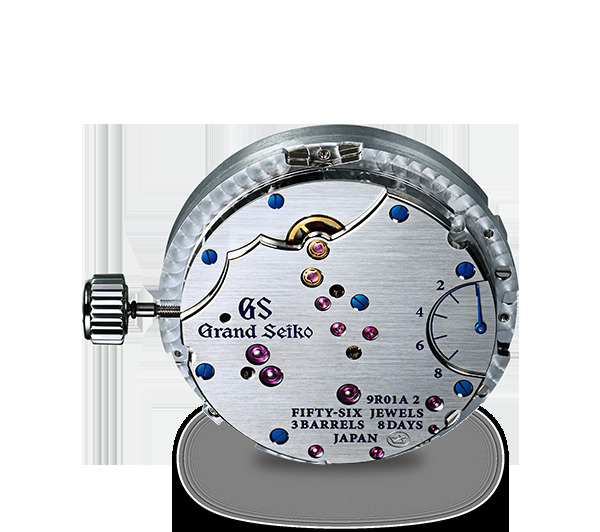 even the most accurate Grand Seiko models cannot compete with the accuracy of a quartz watch, with a daily rate of +8/-1 seconds. The battery sends electricity to a quartz oscillator, whose precise vibrations are detected by an integrated circuit (IC). The IC then moves the gears forward by exactly one second. The precision control of the IC allows for a high standard of accuracy, with Grand Seiko quartz models achieving a yearly rate of ±10 seconds. 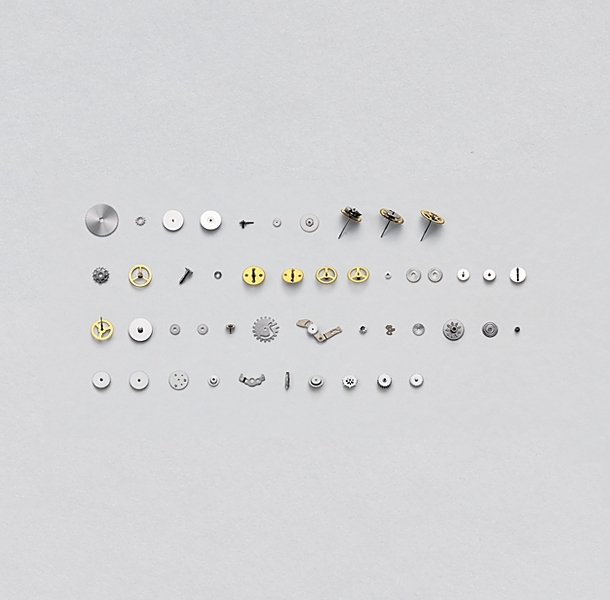 Spring Drive is powered by a mainspring, just like all other mechanical watches. This traditional way of generating power allows the watch to be entirely autonomous, with no need for a battery or other power source. Winding the mainspring by turning the crown or by moving the wrist stores energy which is then transferred to gears and used to move the watch hands as the spring unwinds over time. By taking advantage of the high level of torque afforded by the mainspring, the calibre needs no other power to move the long, wide hands in the smooth glide motion that is Spring Drive’s signature. Spring Drive utilizes an exclusive speed control mechanism, incorporating an IC, an electronic brake and a quartz crystal. Without a mechanism to adjust the speed at which the mainspring returns to its unwound state, it would unwind rapidly and the watch would come to an abrupt stop. To realize the goal of precise timekeeping, a mechanism to control the speed at which the spring unwinds is needed. The Tri-synchro regulator developed for Spring Drive fulfills this role. 3. Electromagnetic power, to apply a brake via a rotor/stator. These three forces work in harmony to regulate the way the spring unwinds and to make possible the precise movement of the second hand. Spring Drive uses a system identical to that of a pedal-powered bicycle light to generate electrical power. A rotor connected to the end of the gear train acts together with a stator wound by wire to generate power. In a Spring Drive watch, the rotor, or glide wheel, makes eight full revolutions every second, generating a slight electric current. The electrical power generated by the glide wheel is used to activate a quartz oscillator and IC. The quartz oscillator vibrates at exactly 32,768 Hz, transmitting a precise reference signal to the IC. The IC compares the reference signal from the quartz oscillator with the revolution speed of the glide wheel, and intermittently applies a magnetic brake when it detects that the glide wheel is operating too fast. 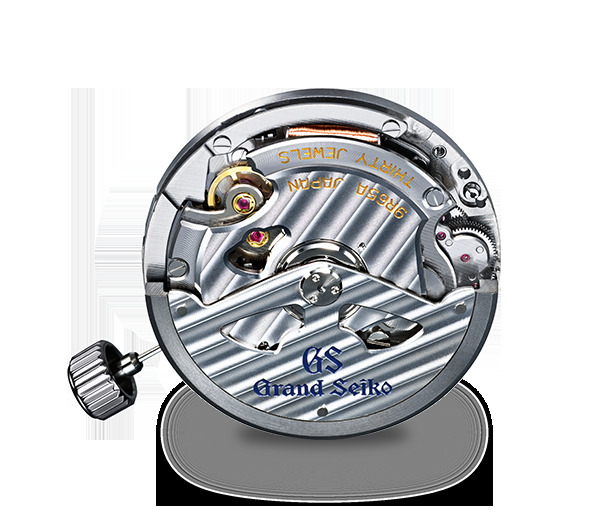 This regulation of the glide wheel is transmitted to the gear train, ensuring that the watch hands move with precision. Spring Drive combines the best elements of both mechanical and electronic watches. 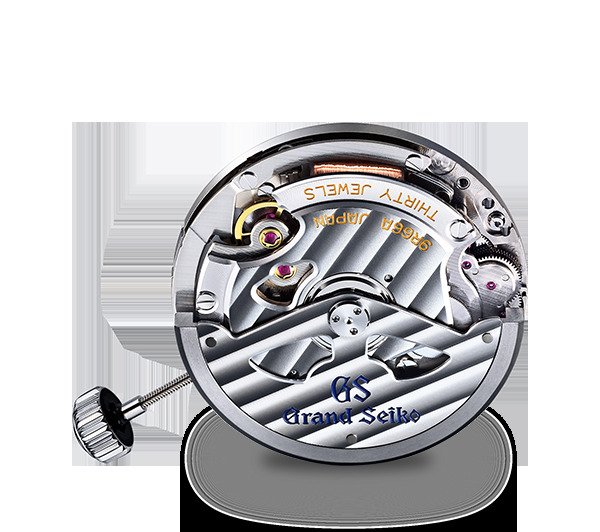 While three-hand versions have over 200 components, versions with more functions, such as the Spring Drive chronograph have well over 300, all of which are assembled by hand. The application of lubricating oils ensures the smooth interaction of all the components and there are no fewer than 80 lubrication points in the three hand calibre and 140 in the chronograph. The oils are applied by hand and both time and great skill are required to ensure that that the oils are applied with precision. Design plans are based on tolerances down to the one hundred of a millimeter. The final adjustments and refinement of the components are completed by hand, because no machine can match the skills of our craftsmen and women – watchmakers whose superior craft gives rise to the extreme precision of Spring Drive. The unique signature of Spring Drive is the glide motion of its second hand. The hand does not move with either the one-second tick of a quartz watch nor the rapid beat of a mechanical watch, but rather in a silent and beautiful glide motion. Because Spring Drive's IC-controlled rotor, the equivalent of the balance in traditional mechanical watches operates in a single rotational direction rather than a back-and-forth motion, the second hand moves in a naturally smooth fashion. Only Spring Drive measures time with perfect glide motion. While quartz movements benefit from high precision, their lack of torque makes moving thicker watch hands impossible. In contrast, mechanical movements enjoy higher torque allowing for larger hands that reach right to the edge of the dial, but cannot match the level of precision of their quartz counterparts. Spring Drive combines the precision of a quartz watch with the torque of a mechanical watch, to make possible a watch with both the long hands and the high precision that Grand Seiko demands. While Spring Drive is powered by a mainspring, its incorporation of a quartz oscillator for speed control allows it to deliver a remarkable level of accuracy, ±15 seconds a month which is equivalent to one second a day. With special and additional adjustment by our master watchmakers, Calibre 9R01, Calibre 9R96, Calibre 9R16, and Calibre 9R15 take the precision of the Spring Drive movement even further with an average monthly rate of ±10 seconds, the equivalent of a daily rate of just half a second a day. Spring Drive achieves not only a high level of precision, but also an exceptional standard of winding efficiency and extended power reserve. Indeed, the 9R01 8 Day calibre delivers a remarkable 8 day power reserve. 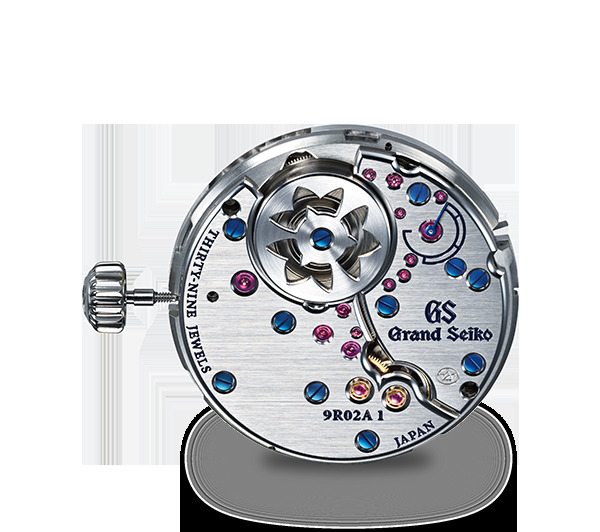 In order to realize the eight-day (192 hours) power reserve of Calibre 9R01, the traditional one-barrel set-up was altered in favor of a design with three barrels sequentially arranged for expanded capacity. The calibre has also been designed throughout to maximize energy efficiency, reducing friction between parts that would otherwise lead to loss in the transmission of the energy derived from the mainspring. The Spring Drive IC circuit board utilizes a silicon coating technology known as silicon on insulator (SOI) to reduce power consumption. Thanks to our leadership in energy management, electronics and micro-engineering, we developed an ultra-low power IC which consumes only 1/300,000,000th of the energy of an 10 watt LED light. This and other advances give Spring Drive a 72-hour power reserve. A high efficiency rotor helps extend the power reserve. At the heart of the Tri-synchro regulator is a rotor whose efficiency contributes to the 72 hour power reserve. 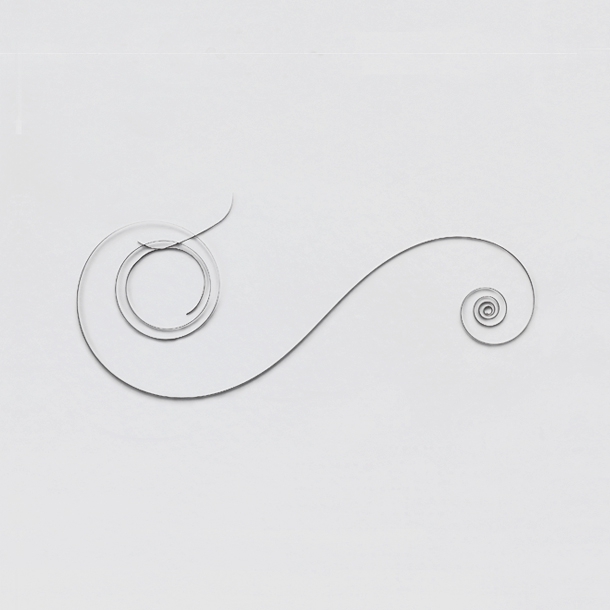 The secret is the coil winding technology that allows the wire to be so tightly wound and so precisely aligned that 25,000 turns are possible. In 1977, Yoshukazu Akahane, a young watch engineer, decided to attempt the seemingly impossible, the creation of an ‘everlasting’ watch. 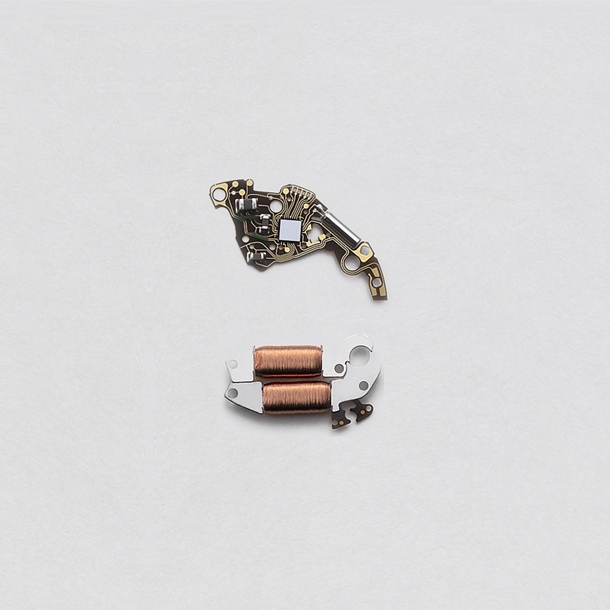 His aim was a traditional watch, powered by a mainspring, that would deliver the one-second-a-day precision of which the company’s electronic watches were already capable. 28 years and 600 prototypes later, he realised his dream and Spring Drive was presented to the world. 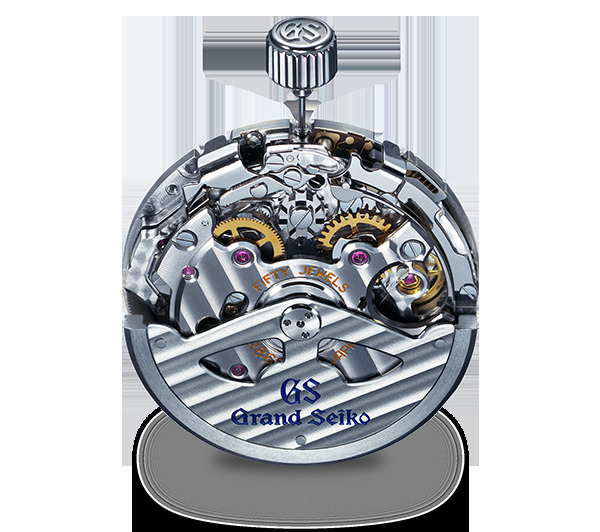 In 2007, and in the spirit of Akahane’s relentless pursuit of perfection, the Grand Seiko Spring Drive chronograph was born.